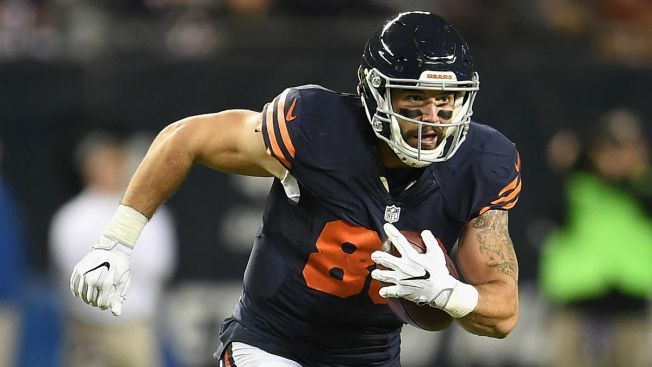 Chicago Bears tight end Zach Miller has been at a New Orleans hospital since suffering a catastrophic knee injury last week, but he reportedly got some great news on Sunday. According to ESPN’s Chris Mortensen, who broke the story of Miller nearly losing his leg following his injury against the Saints, Miller is scheduled to be released from the hospital on Monday. Miller, who suffered a dislocated knee after catching a ball in the Bears’ game against New Orleans, was rushed to a local hospital after medical personnel determined that he had torn an artery in his knee. After undergoing surgery, doctors were able to restore blood flow and save Miller’s leg, although the fate of his NFL career is still very much up in the air. Countless people, including members of the Saints and Bears owner George McCaskey, have visited Miller in the hospital since the injury.